It’s Christmas Jumper day! So of course my OOTD has to include my most recent festive fashion piece – the Ho Ho Ho jumper from George at ASDA. It’s just £9, and George have one of the best selection of Christmas Jumper’s that I’ve seen, PLUS they donate 6% of all sales to Save The Children. I’m also wearing jeans from Warehouse and Stuart Weitzman Boots. Scrooges best cast cynicism aside because today is the day for posting your jumper-selfies on instagram, and donning your jumpers adorned with ginormous Christmas puddings, pom poms and even flashing lights! Save The Children encourages us to ‘Make the World Better with a Sweater’ – and by wearing your Christmas Jumper with pride today, you are showing your support to the charity and encouraged to make a donation to the charity. Of course today is also the perfect opportunity to see what Christmas jumpers the highstreet has to offer, you’ll want to wear these festive designs right through the Christmas period! So below are my favourites. 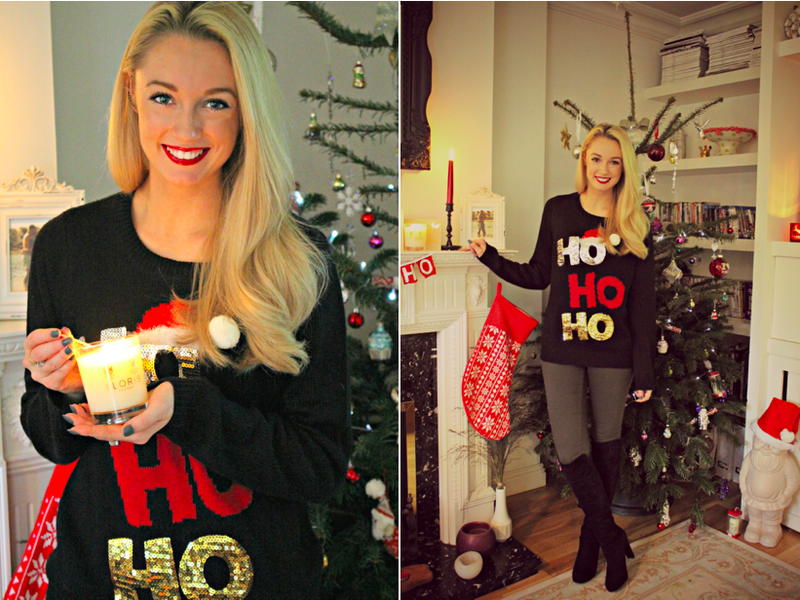 I’d love to see your Christmas jumper selfies, so tag me in your posts! Previous Post My Favourite Christmas Gift Sets!